The 1981 Swarthmore Lecture 1981 by Adam Curle, reviewed by John Hall. The Swarthmore Lectureship was “founded with a two-fold purpose: firstly, to interpret to the members of the Society of Friends their Message and Mission; and secondly, to bring before the public the spirit, the aims and the fundamental principles of the Friends.” Any reviewer must judge whether the book of the lecture in question fulfills these criteria. With the Religious Society of Friends celebrating 350 years of the Peace testimony, when twelve weighty Friends presented the king, Charles II, with a petition denying “fighting with outward weapons” and any connection with the recent uprising of the Fifth Monarchists, it is perhaps a good time to re-examine Adam Curle’s Swarthmore Lecture. In this, he looks at the role Quakers have had in attempting to live their pacifism. Although an educationalist by profession, Adam Curle worked as a peacemaker in Bangladesh, and in Nigeria during the Biafran War of the late 1960s. The book contains many examples from the latter conflict. From 1973-8, he was the first professor of peace studies (at Bradford University) having written about peace for more than 10 years before the Swarthmore lecture. 29 separate wars (not counting small insurgencies) took place between his appointment as professor of Peace Studies in 1973 and his giving of the 1981 Swarthmore Lecture which he wrote while Iraq invaded Iran during the first Gulf War. The book starts by considering the nature of humanity and after identifying the “that of God in every person” in various religions and therefore primitive benign societies, goes on to discuss how warfare arose only after humanity settled as agriculturalists. Adam Curle believes that to some extent, this arises from peoples’ tendency to react automatically to stimuli when a more considered approach is sometimes needed. People are perfect but act imperfectly – he does not explain how this is possible – it is just his belief. He believes however, that those with other beliefs, and none, believe people to be imperfect and he explains how such belief is used to justify violence, hierarchy, self-interest and things (such as the state and institutions) being more important than people. However, he takes an optimistic view of individuals that there is evidence of that of God in them; the optimistic view being one which non-theistic Quakers can also hold, even without a belief in God. He further argues against people identifying themselves as their roles, for example mother, professor, housewife, doctor and therefore as a way of identifying others. From this he sees a unity of all people and therefore, when people are challenged as to what to do in a conflict situation, he says it is to strive to recognise the God within oneself which will answer that question. In defining terms, Adam Curle uses common parlance with very specific meanings such as peace being much wider than the absence of war. Terrorism, for example, (as a term used by rulers) is “the frantic revenge of the victim engendered by oppression”. 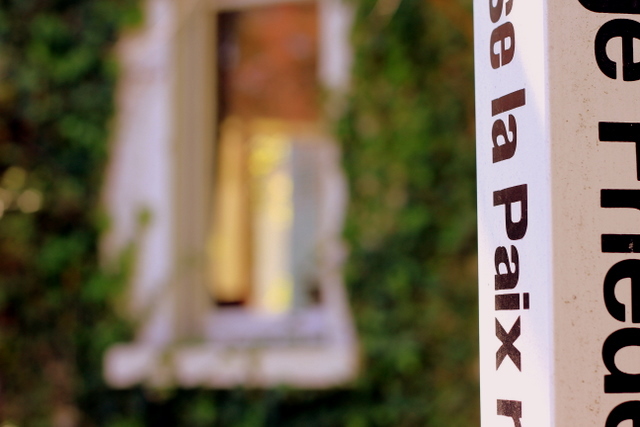 He makes a clear distinction between peace building – changing society’s “levels of awareness, perception of reality, attitudes, social systems and economic [and] political institutions” that he regards as a different topic – and peace making. For Adam Curle, peace making is reconciliation through the resolution of conflict and the removal of injustices. To do this, peacemakers have to be fully aware of those injustices. By stretching the use of such terms, he takes the Peace Testimony far beyond its original intention. A peacemaker is anyone “who is trying to restore harmony and restore love”, by which he means everybody including any good neighbour, teacher, social worker or wise legislator. In one surprisingly very short passage, Adam Curle considers the problems where Friends disagree over courses of action. For example, during the Vietnam War (1955-75) the American Friends Service Committee sent medical supplies through Singapore, where Friends from the local Meeting helped to pack and label them as gifts from Quakers, to North Vietnam. Some American Friends “condemned it as a political act, illegal and so unQuakerly”. I was disappointed to read doubts about the motivation of Friends who take such action. Although Adam Curle appears grudgingly to say that “truth applies equally to those opposed to what we are doing”, he missed an opportunity to examine in depth this aspect of Quaker activity. What Adam Curle fails to tackle is that peoples and nations have very very long collective memories. In the Low Countries, 65 years on, the Germans are still not forgiven for the ruination they unleashed, especially as they retreated into unconditional surrender. Also, he does not deal with the big issues of, for example, the arms trade and militarism but confines himself to mediation. To some extent, this is an academic analysis of the peace-making process. It separates the public (yang) and private (ying) activities. Within these, it categorizes the attitudes of the participants as quiescence, revolution and conflict between equals. The description of the first contains within it a certain paternalism (the oppressed do not fully understand the factors governing their position) while the second, not necessarily violent, is dealt with much better. 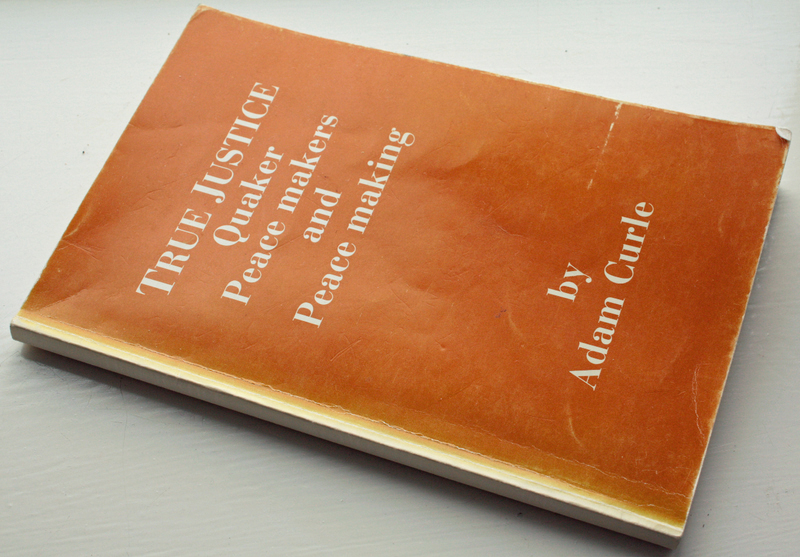 Adam Curle does not shrink from the difficulties nor from his own lack of success upon occasion, but while drawing on the wisdom of many, he states and restates the important role that Quakers can play in promoting peace. When dealing with conflict between equals, he perhaps while mentioning it, fails to emphasis enough that two parties are rarely equal. It is interesting to consider, 30 years on, how well many of Adam Curle’s theories have stood the test of time. The world has changed significantly since the localised wars of the 1970s and 80s. 9/11, where a small band of fanatics wreaked havoc on the soil of the USA for the first time for two hundred years, caused a global turmoil and led to a number of extremely vicious wars based upon entirely false assumptions. Has Adam Curle’s Swarthmore Lecture fulfilled the criteria given at the head of this piece? I think it has. Peace making is necessarily mostly conducted in private and this explanation of his work continues to this day to inform members of the Religious Society of Friends how their principles and testimonies may work in practice. Similarly, non-Quakers can learn from this book how members of the Society put their principles into practice. True Justice is available from Quaker Books for £8.